A murder and a missing person case puts McAvoy on the track of a man whose desire for revenge is unstoppable – but who may not be the worst criminal involved. Paperback of Scorched Earth is due out 6th September 2018. 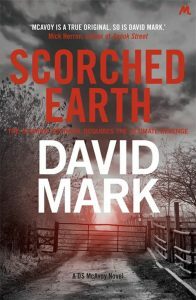 Scorched Earth is available in Hardback, eBook and Audio.